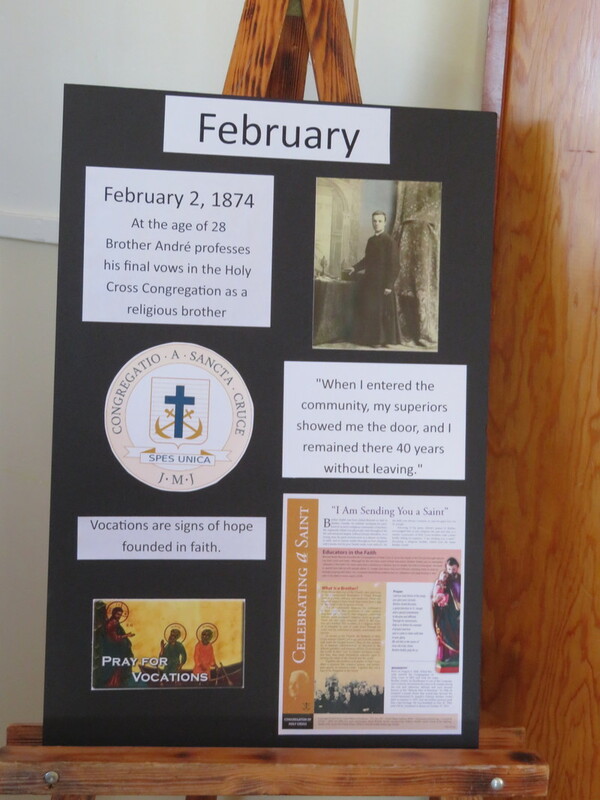 Celebrating Past, Present and Future Vocations from this parish. Fr. 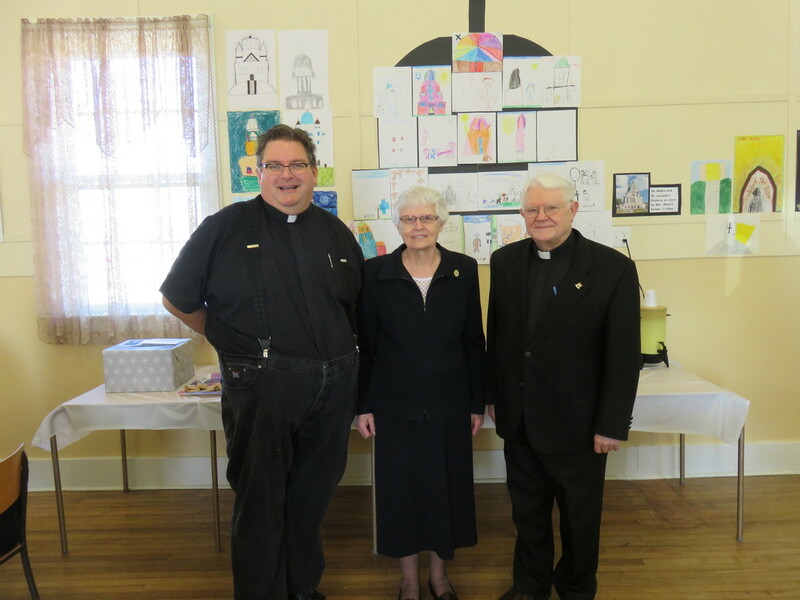 Patrick Beneteau, Director of Vocations from the Diocese of London delivered the homily. Some of the young men from our diocese spoke of their vocation journey. Jacob Quinlan from St. Joseph Parish in Chatham and currently living in the newly formed "Discernment House " for the Diocese of London gave his vocation testimony along with T.J. Vandermeer, 1st year seminarian, and Deacon David Avila of the Hamilton Diocese who will be ordained to the priesthood this May. 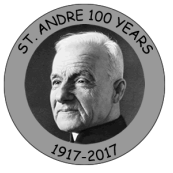 The planning committee would like to thank Monique Hartman for organizing the event and the students of St. Boniface for the St. André posters which were displayed throughout the church and hall. Father Beneteau has written a book "Images of faith, portraits of a people". 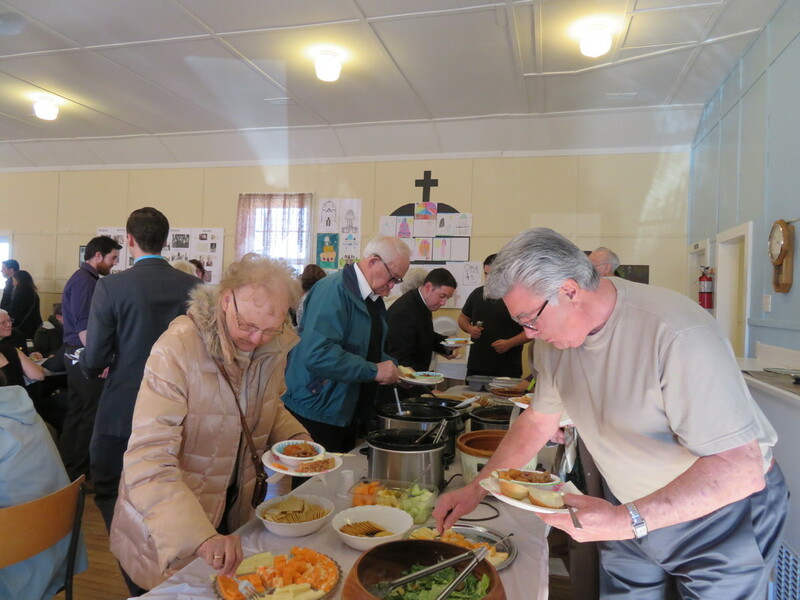 Click to read the Windsor Star article "Sacred Murals at St. Joseph Church adorned with faces of parishioners"